Summer means a couple things for my kids. 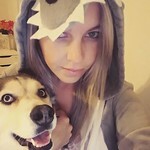 One: they’re stuck going on all my weird adventures. If I need to drive an hour for something for a blog post, they’re all going with me and we’re stopping at a taco place, a beach, whatever happens to be in my Yelp bookmarks on the way. It’s rough. My oldest always has a great group of friends at the end of the school year and then they leave and he’s bored. So last year when it happened I get him his first phone. And this year I decided to upgrade the phone and his plan to make it easier for him to keep up with his friends. And also to keep him entertained when I impulsively decide to drive across the state of Texas for perfect chips and queso. 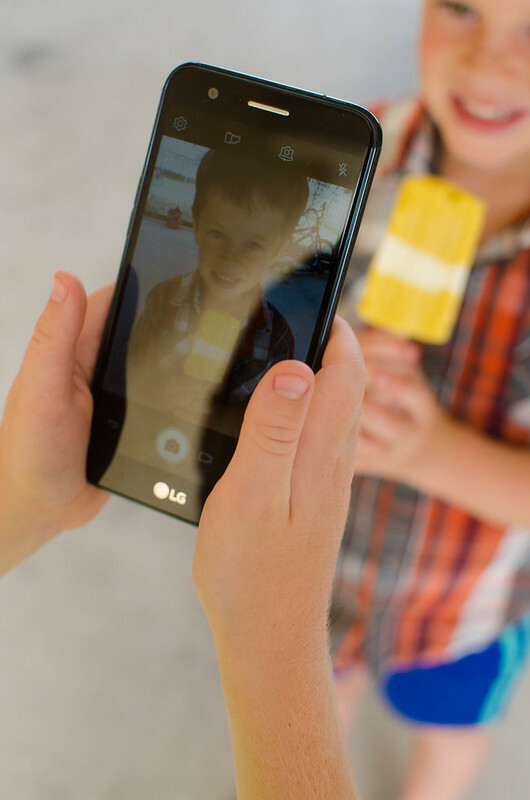 I ended up upgrading the phone to the LG L59 – Grace and he loves it. He’s been sending me photos constantly when he’s out with his friends and he even talked my mom into downloading some apps so they could talk more often. 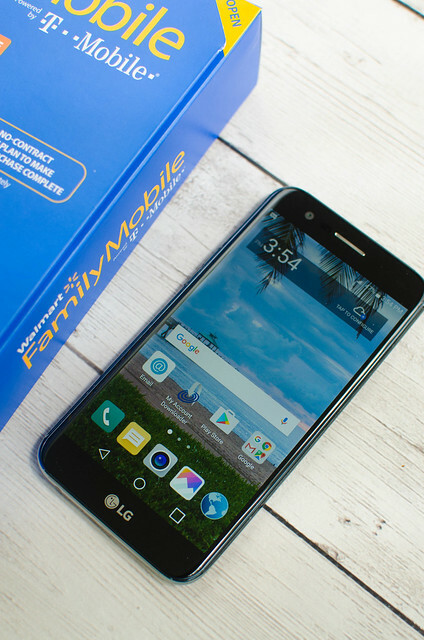 He defintiely needs more data than his previous plan so I upgraded to the $49.88 TRULY Unlimited Talk, Text, & Data plan from Walmart Family Mobile, powered by T-Mobile’s nationwide 4G LTE† network which includes Unlimited Talk and Text, and TRULY Unlimited data◊. You can’t really go wrong with Unlimited Talk, Text and Data! That amount of data for that price makes me super happy. 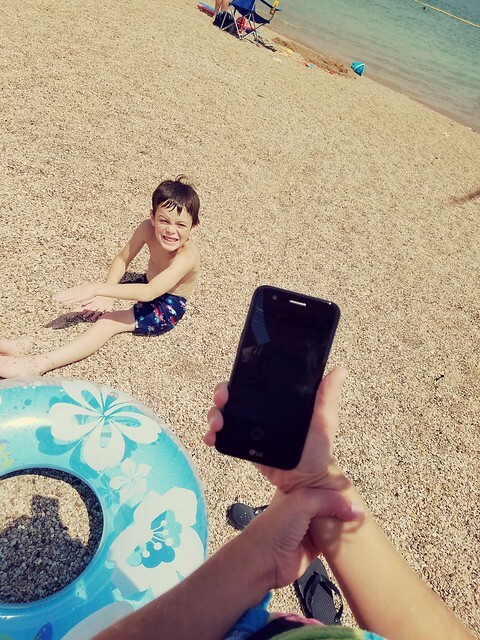 Sticking to my budget for the phone plan means we can do more fun things throughout the summer! 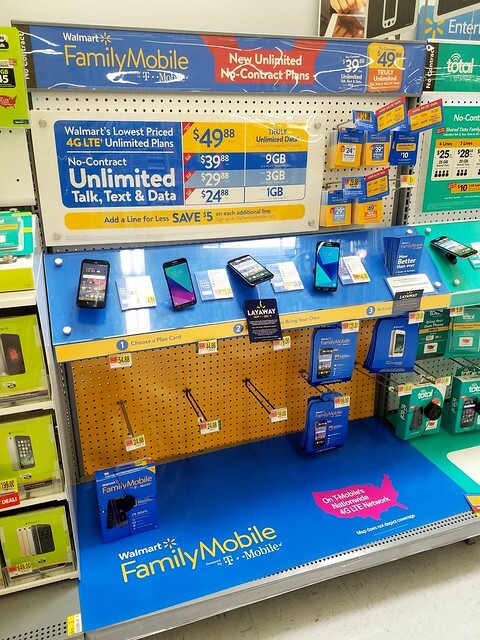 Some of the great things about going with Walmart Family Mobile is that there are no contracts, no activation fees, no late fees and they have the best pricing in no-contract wireless plans. And customers on the $49.88 TRULY Unlimited Plan receive a free VUDU◊ movie rental credit valued at $7.00 each time they renew their service. Hey, did ya know that it’s really hot in Texas right now? Like, we’re at the lake almost every day because it’s too hot to do anything else? And then we immediately head to the freezer when we get home for whatever frozen goodie is in there are the moment. 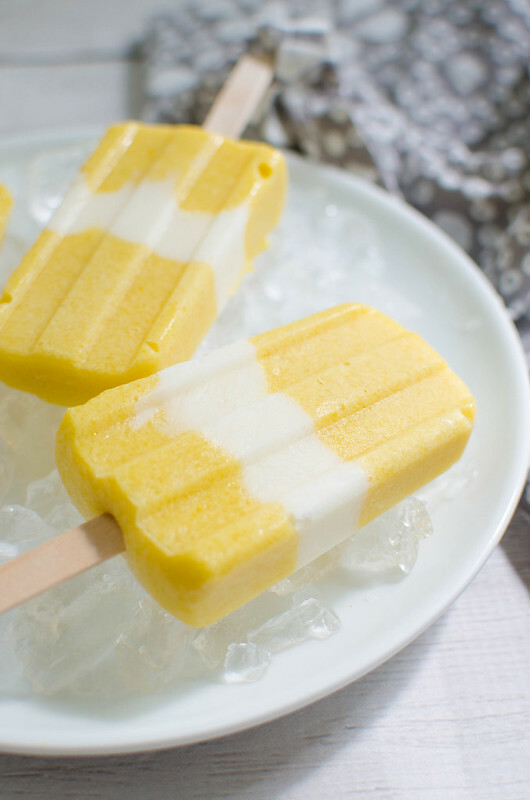 Right now it’s these Mango Coconut Popsicles. So it’s a layer of fresh mango (super juicy and delicious right now) mixed with coconut milk (from a can, not the carton), and just a teeny bit of honey. 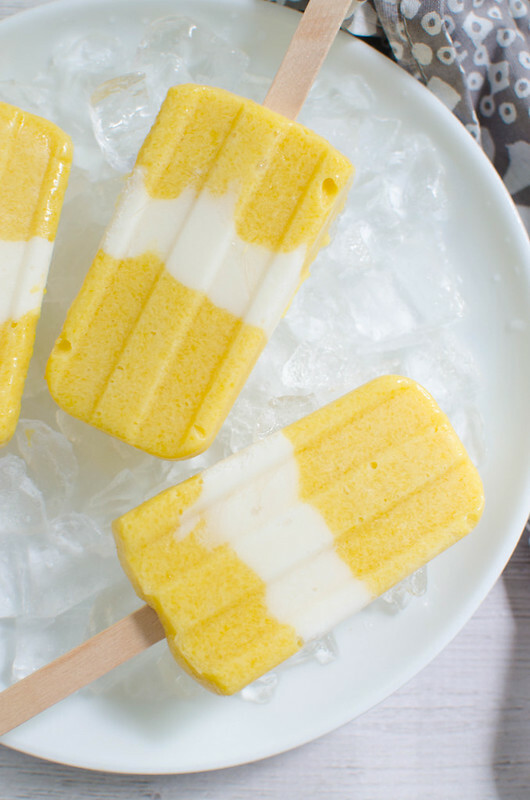 And then you put a layer of coconut yogurt right in the middle of the pops. And then they will be so beautiful that you will actually squeal when you pull them out of their molds. In the bowl of a food processor, combine mangoes, coconut milk, and 1 tablespoon of honey. Process until smooth. Taste and add the other tablespoon of honey if necessary. 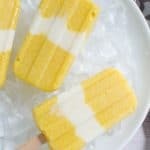 Carefully divide half of the mixture into 8 popsicle molds. 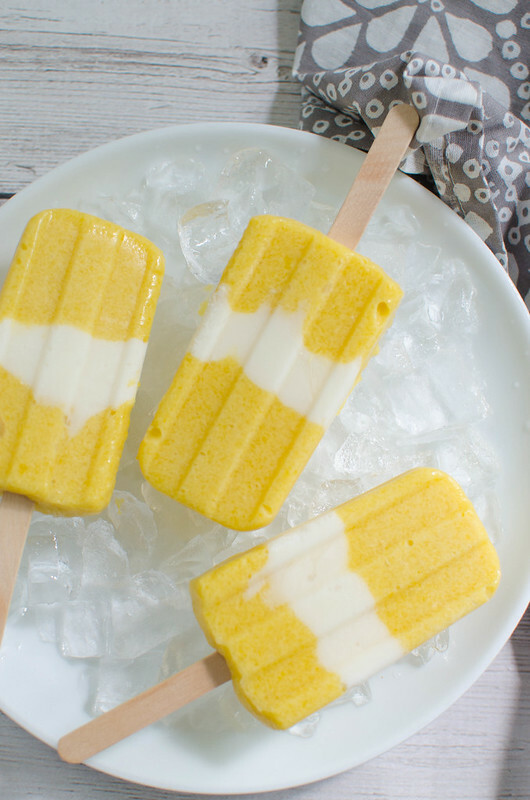 Divide the coconut yogurt among the molds and top with the remaining mango mixture. Insert popsicle sticks. Freeze overnight before serving. †To get 4G LTE speed, you must have a 4G LTE capable device and 4G LTE SIM Card. Actual availability, coverage, and speed may vary. LTE is a trademark of ETSI. Disclaimer: All prices for phones and plans included in this post are accurate as of the date of posting; however, these prices are subject to change. Please refer to this page or your local Walmart for current pricing.